With a history that stretches back over 200 years, the versatile pro-con list has long been used to simplify the decision-making process. And while the pro-con list is not without its controversies — as described by this pro-con list about pro-con lists — it remains a popular practice for analyzing both parts of a problem to aid decision-making. For example, if you’re on the fence about whether to get a new credit card, a pro-con list may be the perfect way to compare the ups and downs to help come to a decision. To help get you started, we’ve put together six pros and cons of using a credit card, with tips for how to maximize your pros, as well as how to avoid cons that can ruin your credit card experience. Given that we have over a billion credit cards being used in the US alone, it’s pretty safe to say the Pros of credit card usage outweigh the Cons for the majority of people. But who wants to do something simply because everyone else is doing it? Instead, investigate the Pros below to get an idea of the perks and benefits you can receive from using a credit card to make your purchases. The first Pro on the list is likely why credit cards took off as a payment method to begin with: the convenience and security of paying with plastic. Compared to cash or even paper checks, credit cards are significantly less bulky — no stacks of paper or heavy, jangling coins to carry — as well as generally being a faster (and often easier) way to pay. For one, rather than counting out change or scrawling names and totals on a check, credit card payments can sometimes be as easy as swiping, tapping, or inserting your card into the reader before you’re on your way. Even those that require further verification often take less than 30 seconds to process, then you simply sign and go. Purchases made by credit card also provide an extra level of security versus cash or check purchases, as you typically have the option to dispute a charge with your issuer if your product or experience wasn’t as promised and the merchant won’t settle up. Additionally, while a thief can easily spend the cash they pilfer from your pocket, the law limits your liability for fraudulent credit card purchases. What’s more, most major credit card issuers take fraud protection to the next level by eliminating that liability altogether. In fact, all of the following issuers have $0 fraud liability policies in place. 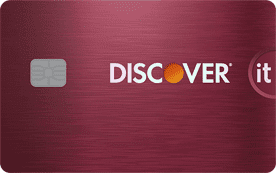 Scoring second only to American Express in customer service, Discover is also a top pick for many cardholders looking to maximize their cash back rewards — without being weighed down by unnecessary fees. 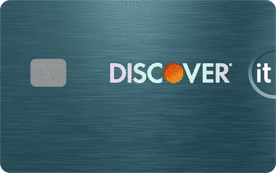 Discover’s entire line of credit cards come annual-fee-free and offer cash back rewards on every purchase. Most famous for its long-standing “What’s in your wallet?” advertising slogan, Capital One has made its mark on the credit card industry by offering blackout-free travel rewards and a range of cash back card options. Many of Capital One’s credit cards come without an annual fee, and all can be used to score a discount on drinks at your local Capital One Café. Chase has a long banking history stretching back to 1799 and a New York City that, even then, was a bustling destination. 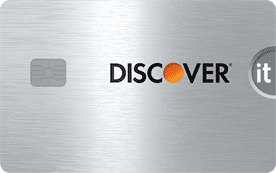 Today’s Chase is one of the largest credit card issuers in the world, with a credit card selection sure to appeal to just about any cardholder, including lucrative rewards cards and popular balance transfer cards. Not only can Bank of America trace its banking legacy back over 200 years, but the company also pioneered the mass-market consumer credit card in 1958 with its first BankAmericard. The modern Bank of America still maintains a strong foothold in the consumer credit card industry, issuing a number of its own credit cards in addition to several co-branded options. 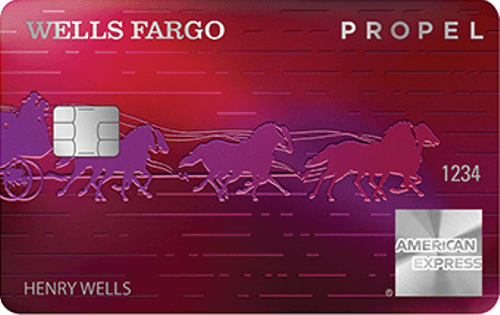 The bank today known as Wells Fargo was originally founded by William Fargo and Henry Wells, two prominent figures in the financial industry of their time who also had a hand in the creation of other industry mainstays, including American Express. 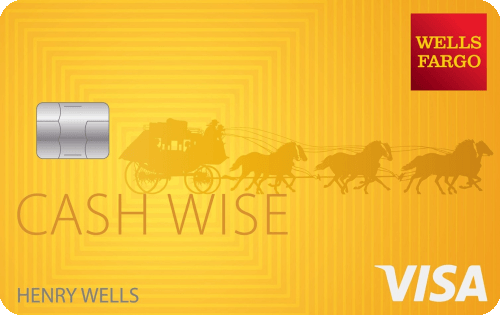 These days, Wells Fargo is a prominent consumer bank issuing a range of credit cards for consumers of all types. Imagine you had a magic universal rebate that was good on everything you bought and could be redeemed for things like cash, gift cards, or travel expenses. Welcome to the joys of credit card rewards. With any of the hundreds of rewards credit cards available on the market, you can earn valuable rewards on every card purchase. The three types of credit card rewards you’ll run into when exploring cards are cash back, points, and travel or airline miles. Cash back is what it sounds like: you receive cash back for your purchases, typically in the form of a statement credit. Travel or airline miles can generally be redeemed toward travel-related expenses, like airline tickets or hotel stays. Most points programs offer both cash back and travel redemption options. The actual amount of rewards you earn per $1 spent will vary based on the card you use, but the rewards structure will likely follow one of two systems: a) unlimited flat-rate rewards on every purchase or, b) scaling rewards that vary based on the category of the purchases. The key to maximizing your credit card rewards is to choose a rewards card that provides the highest earnings rates on the purchases you make most often. For example, if you dine out frequently, a card that offers bonus rewards for restaurant purchases can be quite lucrative. However, if you cook most of your meals, a credit card offering bonus rewards for grocery purchases may prove a better value. In the case that the bulk of your spending doesn’t fall into any common categories, you may find a flat-rate card ends up providing the best rates. Perfect for the frequent flyer or hotel hound, a travel rewards card can be a profitable investment if you travel regularly (or would like to start). Many of the most popular travel rewards programs are those with a large number of partners to whom you can transfer your travel rewards, transforming them into branded loyalty points or frequent flyer miles. Some of the most flexible programs allow you to easily redeem travel rewards for a statement credit to cover travel-related card purchases. The exact list of travel-related expenses that your travel rewards can be redeemed for will depend on the particular issuer and program, though any travel card should include either airfare, hotel stays, or both. Despite the stories of churners flying around the world with travel rewards, cash back reigns supreme as America’s favorite type of credit card rewards — and with good reason. Not only are cash back rewards the most straightforward to redeem, but with the wide variety of cards offering up to 5% cash back for bonus category purchases, you could potentially maximize your cash back earnings with just a handful of cards. Often providing the best of both rewards world, credit cards that offer points tend to have the most versatile redemption options. Rewards points can typically be redeemed for any combination of cash back, gift cards, travel expense credits, and merchandise. Points are a favorite of churners and other credit card rewards aficionados thanks to the ability to transfer earned points to travel partners to maximize the per-point value. For instance, Chase Ultimate Rewards points can be transformed into Marriott Rewards points or British Airways frequent flyer miles, among others. The biggest catch-22 of the consumer credit world is probably the fact that you need credit to build credit. Without some sort of credit product reporting to at least one (but preferably all) of the three major credit bureaus — Equifax, Experian, TransUnion — you won’t establish a credit report and future creditors won’t be able to gauge your credit risk. And about the only thing worse than having no credit history is having a bad credit history. A history rife with delinquent payments, defaulted accounts, or other negative items will result in a low credit score — and lenders that don’t want to lend to you. When used responsibly, credit cards can be a great way to build (or rebuild) a positive credit history and, thus, a good credit score. What’s more, a variety of credit card companies, including a number of major issuers, have credit card products specifically designed for consumers in the various stages of the credit-building process. Consumers with a FICO credit score between 580 and 669 are typically considered to have “Fair” credit, which is the just on the right side of the line between prime and subprime credit cards. If you’re worried about your chances of being approved, the best way to test the waters for a particular issuer is to check for pre-approval offers. This can be done easily online and won’t impact your credit score. Depending on where you fall on the range of Fair credit scores, you may qualify for a prime card from a major issuer — but don’t expect the juiciest rewards or a completely fee-free experience. On the bright side, responsibly using your new card can help boost your credit score into the Good range within six months or so, broadening your card options tremendously. When your FICO credit score falls below 580, your credit is officially “Bad.” This means most prime credit card issuers won’t feel comfortable offering you unsecured credit, so your credit card options will likely be limited to secured credit cards or subprime unsecured credit cards. The main difference between secured and unsecured credit cards is that secured credit cards require a security deposit to open the account, and that deposit determines your credit limit. Unsecured cards won’t require a deposit, but most subprime unsecured credit cards will require a program or processing fee to open your account, in addition to an annual or maintenance fee. With no credit history — or even a very limited one — credit card issuers won’t have a way to gauge your potential risk, which means they’ll typically assume the worst. That said, a number of cards are designed specifically for those establishing credit for the first time, including credit cards aimed directly at students (though you don’t always need to be a student to qualify for student credit cards). In many ways, consumers with no/limited credit histories have the easiest credit-building journey ahead of them, as they don’t need to wait for old negative items to age off their reports or pay down outstanding debts to see credit score improvements. With just six months or so of responsible credit card use, you can go from no credit to Fair or even Good credit, expanding your credit card options in the process. Of course, few things in life are entirely positive, even in the eyes of the most optimistic of consumers — credit cards included. In fact, the Cons of credit card use can be just as numerous as the Pros — particularly when they are misused. That said, many of the Cons of credit card use can be avoided by selecting the right card (and using it responsibly). Perhaps the first thing that most people think of when considering the Cons of credit cards are the associated fees. Between the annual fees, balance transfer fees, cash advance fees, interest fees, foreign transaction fees, and late fees, it can feel as though you can’t even look at a credit card without having to pay a fee. And those fees can certainly add up. The typical late fee is $30 or more a pop, annual fees can range into the hundreds of dollars, and balance transfer fees can be as much as 5% of the total amount transferred. On the bright side, most of the fees associated with credit card use can be easily avoided through responsible card use and understanding the fee structures. For example, late fees are among the easiest to avoid simply by ensuring you pay on time each billing cycle. You don’t need to pay your balance in full to avoid a late fee, just make at least your minimum payment by (or, preferably, before) the due date. And since nearly every bank allows automatic payments these days, you can even automate your bills to avoid paying late due to forgetting a date, going out of town, or other events. Additionally, a number of card fees, such as annual fees, balance transfer fees, and foreign transaction fees, can all be avoided through careful card selection. While you may end up trading rewards or other perks for a card with fewer fees, you may come out ahead, depending on your card use. A factor for a great many cards, regardless of credit score demographic, annual fees are often charged as a way for the issuer to cover the cost of certain credit card benefits, such as purchase rewards or travel perks. In most cases, the more benefits a card offers, the higher the annual fee it charges, with fees north of $400 not unheard of for the most exclusive cards. While it can sometimes be worthwhile to pay an annual fee for more valuable benefits, you don’t need to shell out big bucks on annual fees to obtain a quality rewards credit card. A great many cards are available that provide cash back, points, or miles at a solid rate without charging you an annual fee. When done properly, a successful balance transfer can lower your interest rates and make it easier to pay down your credit card debt. Unfortunately, the vast majority of credit cards will charge a balance transfer fee for the service, and the card to which you transfer your balance will likely charge between 3% and 5% of the total transferred amount as a balance transfer fee. The best (read: only) way to avoid a balance transfer fee — other than avoiding balance transfers — is to transfer your balance to a card that doesn’t charge a fee. While these cards can be found more frequently in small community banks or credit unions, only two cards from major credit card issuers currently offer fee-free balance transfer deals; be sure to transfer your balance within the first 60 days to avoid a fee. Although coalitions like the European Union (EU) have tried to minimize the need to change currencies at the border, in most cases, each time you enter a new country you’ll be dealing with an entirely new currency. While this can be very complicated with paper money, credit cards have made purchasing abroad simpler by doing the currency conversion for you in many cases. 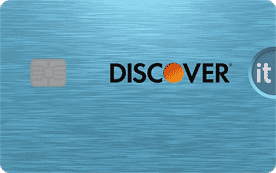 The downside to all this convenience is that many cards will charge you foreign transaction fees for the service of converting your purchase into the proper currency, typically 2% to 4% of your purchase total. As with balance transfers, the only real way to avoid foreign transaction fees is to select a card without them. Happily, a variety of cards, including many travel rewards cards, are foreign-transaction-fee-free. One of the main sources of profit for credit card issuers — and pain for credit cardholders — is the interest charged on balances carried from month to month. With an average interest rate around 16%, this can mean hundreds or thousands of dollars a year if you carry large balances. Overall, the high interest rates charged by credit cards are a reflection of the fact that credit cards were not designed to carry long-term debt. Anything that you need several years to pay off should be financed through loans — or savings — not credit cards. Instead, credit cards are designed to provide short-term financing, so the rates they charge are higher than those for longer-term loans. While these interest rates can be costly to those who misuse credit cards, there’s a simple and easy way for responsible cardholders to avoid interest fees entirely: the grace period. The period of time between when a purchase is made and when the bill for that purchase is due is called the grace period. If you pay off your purchase before the end of the grace period, you won’t be charged interest on that purchase. Simple. Of course, the grace period doesn’t solve all interest fee woes. The grace period doesn’t apply to balance transfers, for example, nor does it help those who simply need to carry a balance from time to time. But that doesn’t mean those consumers are out of luck. With a little research — and good to excellent credit — you’ll often find that great interest rate deals are plentiful. One of the many ways in which credit card companies compete for the best applicants is through introductory offers. Similar to a signup bonus, intro-APR offers provide an initial incentive to new applicants by providing a low — or, often, zero — APR on new purchases for some set period of time after you open your account (typically 12 months or more, but some of the best offers can be over 18-months long). If you know you have a large purchase on the horizon and you may need a few months — or a year and a half — to pay it off, a credit card with an intro-APR offer can save you a lot of money in interest charges. What’s more, if the card offers rewards, you’ll earn cash back, points, or miles for those purchases, too. 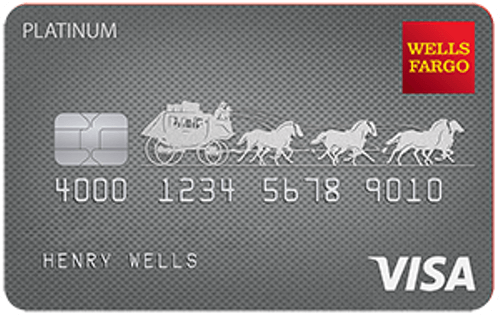 Select a card with no annual fee to really stack the savings. For those who are already struggling with high-interest credit card debt, transferring the balance to a lower-interest card can make all the difference in getting that debt paid off. Many of the best introductory balance transfer offers provide a 0% APR on transferred balances for 12 months or more, with offers often extending up to 18 months. Be sure to check if your intro-APR balance transfer offer includes a break on the balance transfer fee; most offers don’t, so you’ll still be on the line for 3% to 5% of your balance (depending on the card). Often, despite the balance transfer fee, going from the average 16% APR down to a 0% APR can save you thousands. 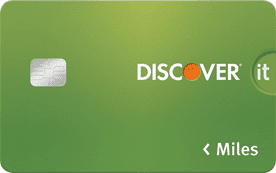 Choose a balance transfer card that doesn’t charge an annual fee to save even more. If introductory-APR offers have one particular flaw, it’s likely that they are introductory; once the offer terms expire, that pretty little interest rate turns back into a regular two-digit APR like Cinderella’s coach turning back into a pumpkin. If your need to sometimes carry a balance stretches farther than an intro-APR offer will get you, the solution may be a card with a low ongoing APR. Since the APR you’re offered is strongly influenced by your credit score, a “low” interest rate is somewhat relative, and will be based on your credit profile. Those with the highest scores will typically qualify for the lowest interest rates, but nearly any reduction in your current APR will likely save you money if you tend to a carry a balance. As with any other credit product, credit cards represent a line of credit that is extended to the consumer. When you make a purchase with your credit card, you are essentially borrowing that money from the card’s issuing bank — with the understanding that you’ll need to repay that debt. If you use credit cards to make purchases you can’t really afford, you can easily start to accumulate credit card debt. If that debt goes unpaid from month to month, it will start to accumulate interest fees. For those who make only the minimum required payment, the addition of interest fees on top of debt can create an untenable (and sometimes inescapable) situation. The easiest way to avoid the accumulation of credit card debt is to simply pay off your entire credit card balance each month. This can be accomplished easily by only using your credit cards to make purchases for which you already have the money saved. Not only does this responsible use help you avoid accumulating debt, but you’ll also avoid interest fees and likely improve your credit score. Even if you can’t pay off the entire balance each month, don’t get trapped in the cycle of paying only the necessary minimum. Required minimum payments are not designed to pay off your debt efficiently or quickly; rather, they’re intended to be somewhat affordable so you’ll continue to bring the company profit through interest charges. In the event that your credit card debt has gotten out of hand, your best solution may be to consolidate and refinance through a personal installment loan. Because installment loans are specifically designed to finance longer-term debt, they often provide lower interest rates than revolving credit lines, like credit cards, and will typically have repayment periods extending as long as seven years. When done right, credit card consolidation can not only help organize your debt by putting it all under one loan, but will also provide a lower APR and, thus, help lower your monthly payment. Consolidation loans can also help stem the accumulation of more debt, as you can’t add new purchases to a loan as you can a credit card with a balance. As you compare personal loans, look at more than just the monthly payment; you should also investigate the APR and length of the loan, as these factors are what decide your monthly payment. While longer loans will give you the lowest monthly payments, they’ll also end up costing you the most overall thanks to interest charges. Balance the overall cost of your loan with an affordable monthly payment for the best results. According to Benjamin Franklin, to whom is given the credit for the pro-con list’s invention over 200 years ago, making the list is only the first step to coming to a decision. Once you have your pros and cons laid out, you should go through each item on your lists and look for pairs of pros and cons that effectively cancel each other out in your estimation. Once you’ve eliminated what you can, you’re left with the true balance of the problem. For millions of cardholders around the world, the pros and cons of credit card use are easy to weigh, with the pros winning the battle — and the war. However, the decision of whether to join the ranks of credit cardholders is entirely up to you. 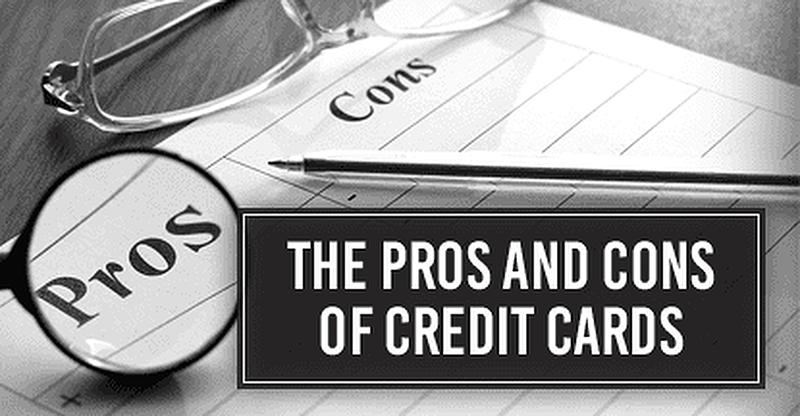 Only you can decide if the Pros of using a credit card outweigh the cons.